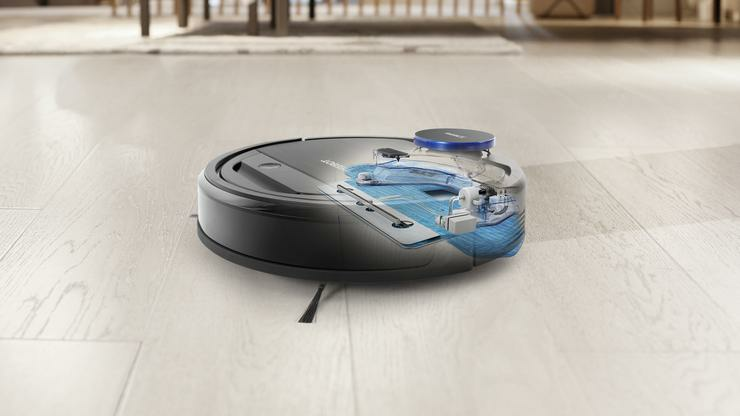 “ECOVACS ROBOTICS brings the idea of ‘Live Smart, Enjoy Life’ to the next level by incorporating artificial intelligence into home cleaning,” said David Qian, Deputy Chairman of the Board and President of International Business Unit of ECOVACS ROBOTICS. Importantly, the company also took the time to detail customer data privacy protections around the feature. They say that AIVI "is only used to match the robot’s surroundings and foreign objects to preinstalled items to recognise obstacles, so no images will be recorded and sent back to ECOVACS or to third parties." That said, they do leave the data-sharing door partially-ajar by saying that "users may also choose to opt-in and send their data back to ECOVACS as the company is dedicated to designing, testing and improving its AI technology based on robust research and training data." The company also showed off several new products, including the Deebot Pro 930, Deebot 600, Deebot 710 and Deebot Osmo Slim 10.